The Weald & Downland Open Air Museum is a fun way to spend the day in the town of Chichester, West Sussex. I would describe it as essentially a large collection of buildings that have been transplanted from their original sites and put here to show visitors what life was like in England over the course of a 950-year period. Want to see how food was cooked in a Tudor kitchen? Check. Wondering how the Victorian village smithy worked? Check. 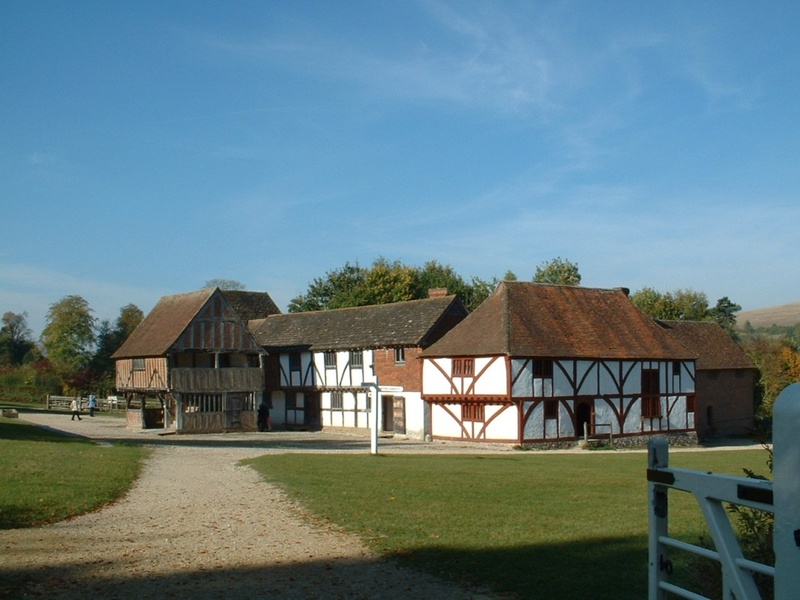 From left to right, these buildings include the 16th century Market Hall from Titchfiel, the Upper Hall from Crawley (an old public meeting room), and a Medieval house from North Cray. This fine little wax fellow nearly scared me to death when I stopped in at a 19th century turnpike tollhouse from Beeding. 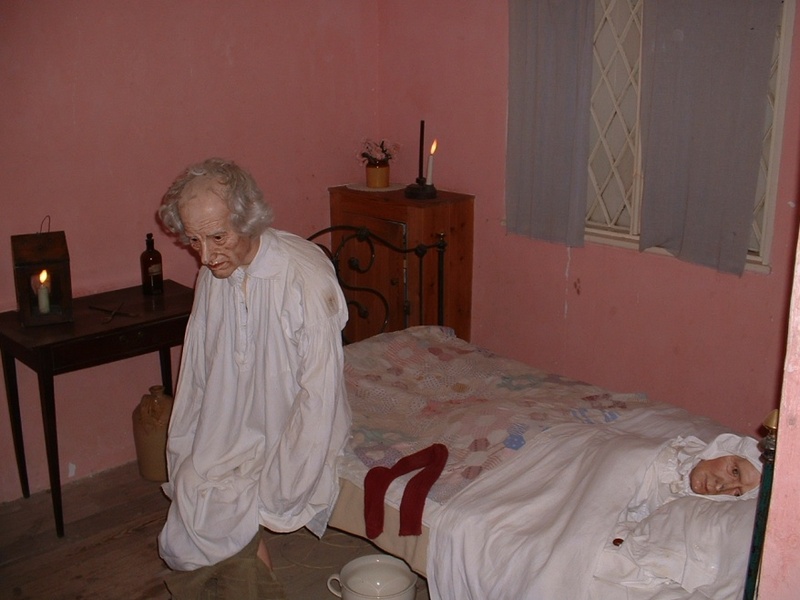 Notice his “wife” lying in the bed. You’d have run screaming in fright, too! 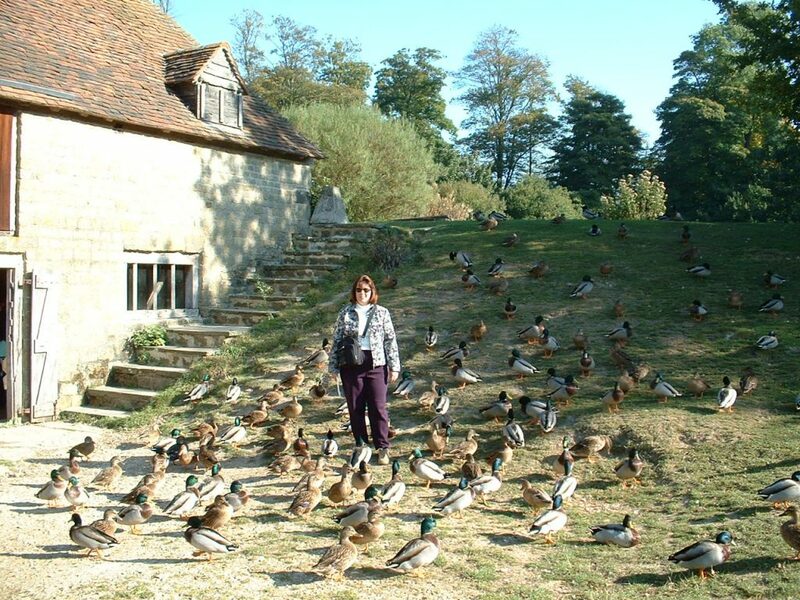 Feeding ducks at the Weald & Downland grist mill. These were not dumb ducks. They knew exactly where the gullible tourists were. Taking a break in an old cottage. 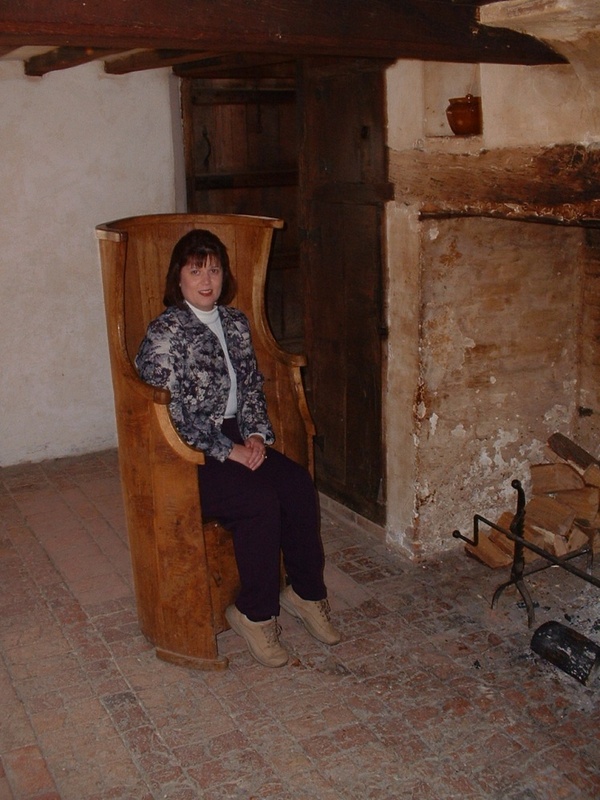 Two rooms, one fireplace, and one really uncomfortable chair.